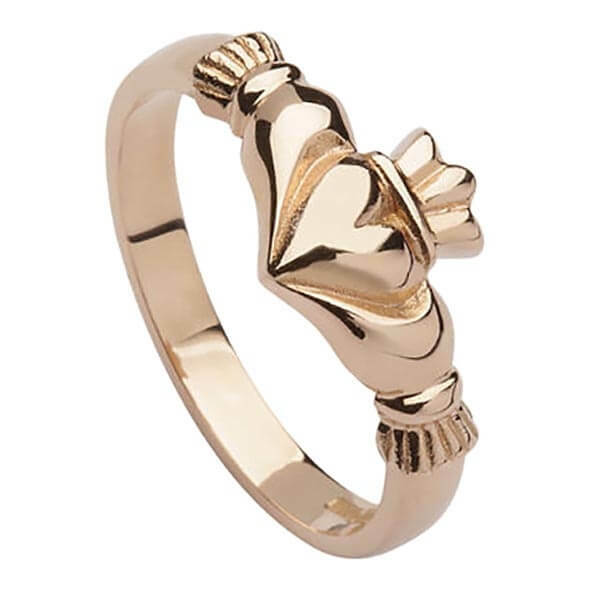 This elegantly styled women's Claddagh ring is available in 10 carat rose gold. 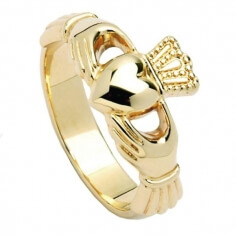 The heart, crown and hands of the Claddagh represent love, loyalty and friendship. The rose gold finish adds to this rings uniqueness. 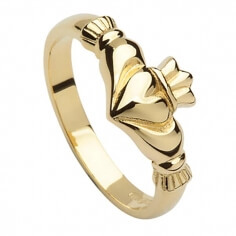 Handcrafted in Ireland by trained artisans and hallmarked by the government-run Dublin Assay Office.